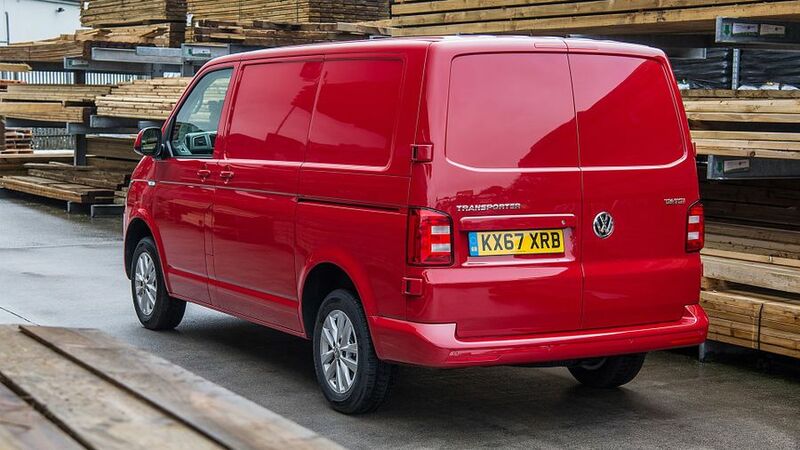 The Transporter is many things – a practical and competent workhorse to some, and a classy well-loved member of the family to others. 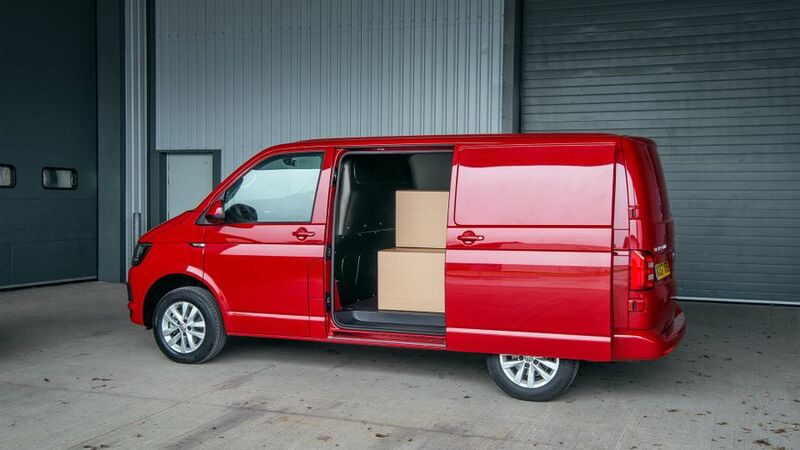 It has two versions in its range – the panel van and a five-seat Kombi – and the ability to fulfil both roles. 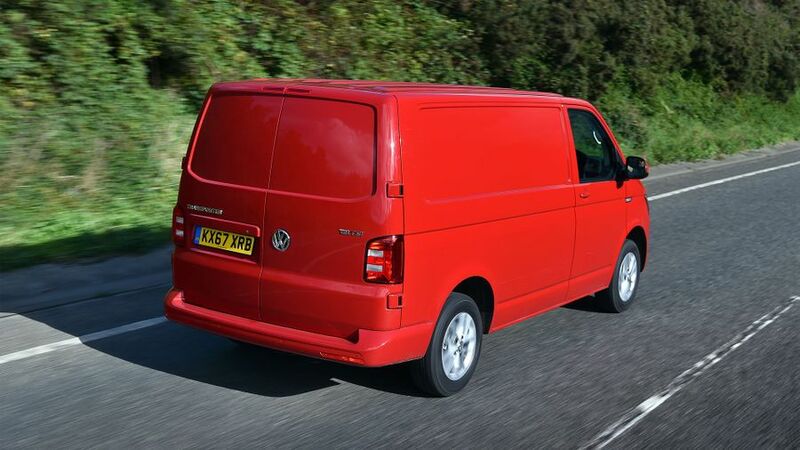 Interested in buying a Volkswagen Transporter? 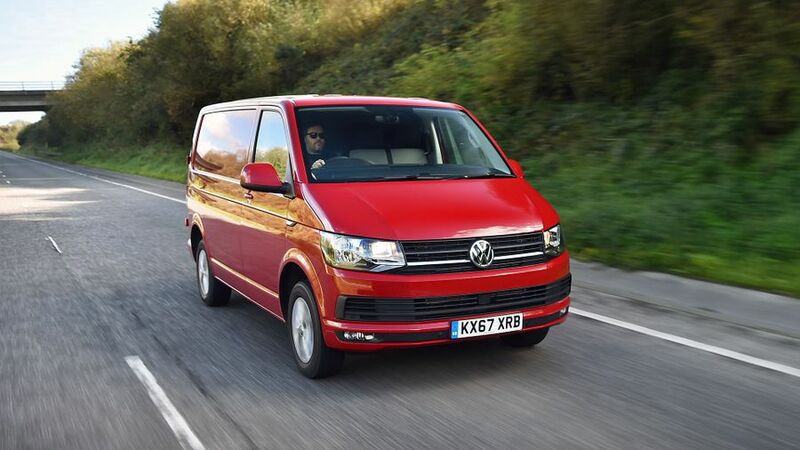 There is a decent range of shapes and sizes from the Transporter, with the panel van coming in two wheelbases and three roof heights, while the same dimensions are offered for the five-seater Kombi model. 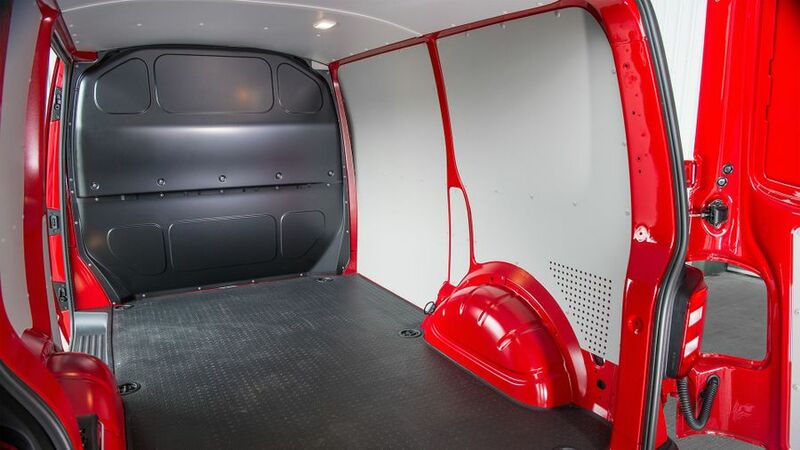 The largest of those vans comes with an interior capacity of 9.3m3, a load length of 2975mm and a width of 1700mm. 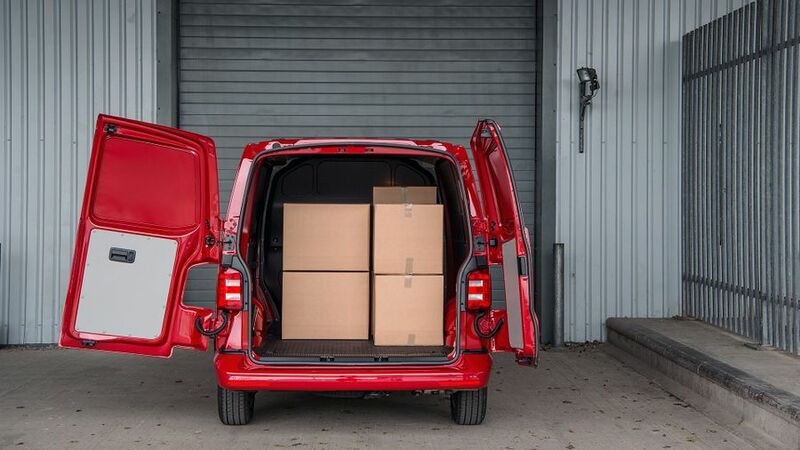 This gives it a larger loading capacity than its main rival, the Ford Transit Custom, which only has up to 8.3m3 space, but the Ford offers a higher payload than the VW. 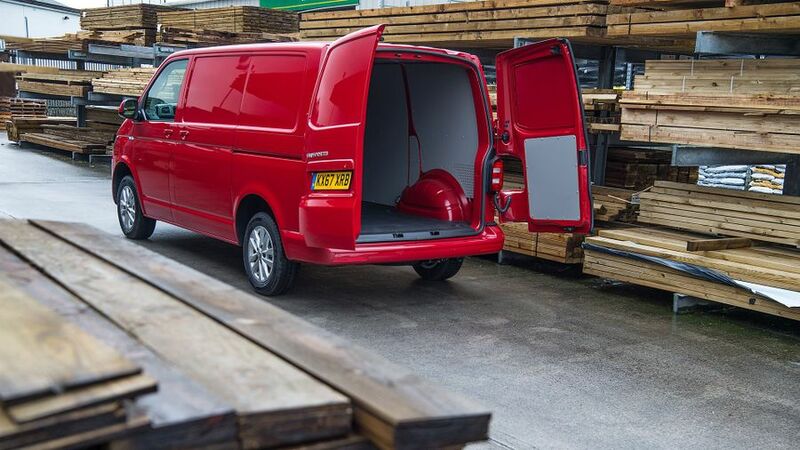 The Transporter can take up to 1244kg, but there is a Transit Custom that takes as much as 1447kg. Out back you get the choice of twin opening doors or a top-hinged single opening, while every version comes with a side sliding door as standard, and a second one can be added as an option. There aren’t any clever gimmicks in the cargo bay, but each one gets half-height load lining, a painted roof trim on the low roof model, and either six or eight load lashing rings, depending on the length you opt for as standard. It’s a shame the basic model doesn’t come with a bulkhead included, though. The cabin is the one area where the storage is slightly disappointing. The glovebox and dash-top cubbies are not particularly large, and there isn’t much in the way of places to tuck items out of sight. The cabin in the Transporter is clean and smart, and certainly looks of a higher quality than previous generations. Although the look steps closer to the car aesthetic that VW is going for, the hard-wearing nature of the plastics and other materials hold it back from feeling truly opulent. The seats are excellent, though, with a wide range of adjustment. The driver gets height adjustment and lumbar support as standard, and there is a good range of forward and backward movement so drivers of all heights should be able to get comfortable. Grab handles on both sides make getting in and out easy, too. Diesel remains the obvious choice for those that put fuel economy at the top of their list of priorities from a van, and perhaps surprisingly it is not the smallest engines that are the most economical. Instead it is the 2.0TDI 150 horsepower version that gets closest to 50mpg, but you do have to opt for the pricey 7-speed DSG automatic gearbox to get it. The 84 and 102 horsepower versions aren’t far behind, though, and both get close to the same mark. Mid 40s mpg is about standard across the engine range for the diesels, even if you go for the range-topping Biturbo 204 horsepower option, although none claim 50mpg or higher, unlike the rivals at Peugeot and Citroen. The petrols are not the models to go for if economy is your thing, though. They both claim just over 30mpg, although they do at least achieve close to that in normal driving. The warranty, at three years and 100,000 miles, isn’t the longest lasting in the industry, but it is standard for the class. This is the sixth generation of Transporter, and the van’s forebears have always had a decent reputation for reliability, so there is no reason to believe this shouldn’t continue to be the case on this latest model. The engines in the Transporter really do offer something for everyone. Alongside the most popular diesels, which come in four different power outputs ranging from 84 horsepower to 204 horsepower, there is also a pair of petrols. Of the group, the best all-rounder is the 150 horsepower diesel, which is worth the extra investment if you can make the step up that far in the range. If you can’t, the 102 horsepower model will still pull admirably, although the 84 horsepower model will be too lacking in power for most, especially if you spend much time on the motorway or with a full loading bay. Petrol engines are a rarity in this class, and the two on offer are essentially lifted from the brand’s passenger car range. They cope surprisingly well with hauling the Transporter’s bulk, even when loaded up, and are very quiet on the move. The lower-powered model starts to suffer a bit when you ask it to accelerate for a motorway overtake, but is otherwise nippy at lower speeds. The obvious downside is fuel economy, though – don’t expect anything much more than 30mpg from either petrol engine. 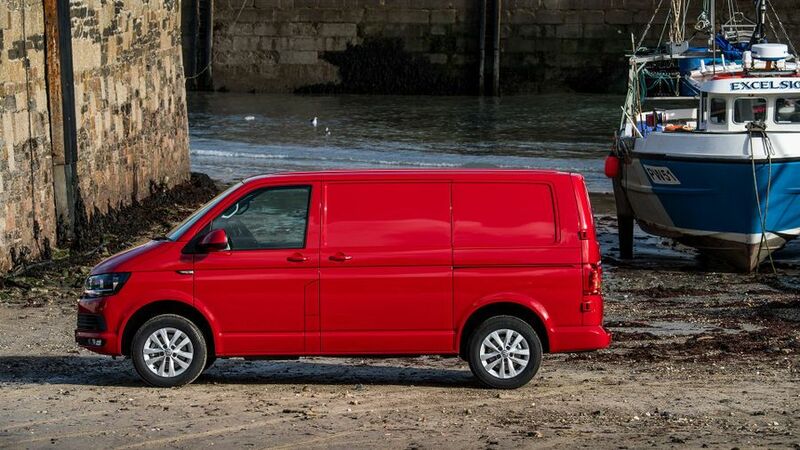 The Transporter is one of the best mid-sized vans on the road. It offers a real balance of car-like lightness of handling, while still offering the firm rigidity of steering and controlled ride one normally associates with a van. While the ride on the standard model gets the blend of control and firmness just right, you can opt for a slightly stiffer setup if you go for the Sportline model. If you are spending more time out on quieter rural roads this won’t cause a major issue, but for those that will spend any time around town dealing with speed bumps and potholes, it might be a bit too firm. The pedals are a wonderfully light setup and the manual gearchange is smooth. Even smoother is the DSG automatic option. While some vans get a pared-down version of a car’s automatic box, the VW gets the same smooth double-clutch offering as many VW passenger car models. 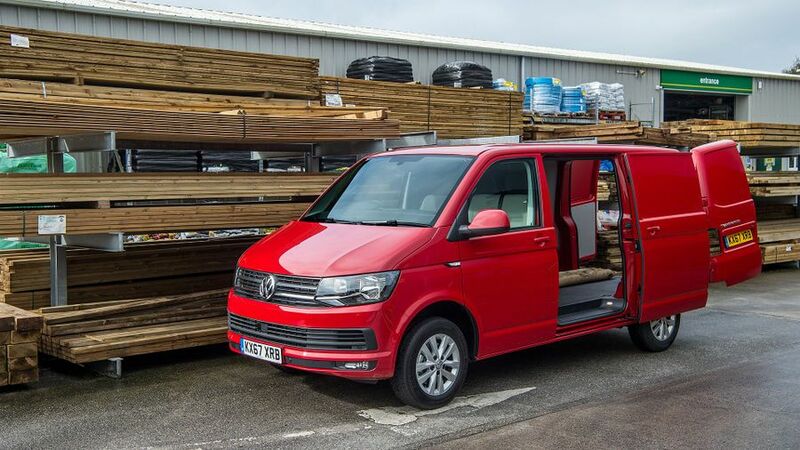 The list of safety systems offered as standard on the Transporter is very impressive. The usual fare is there, including Autonomous Emergency Braking, with brake assist and a post-collision braking system to mitigate the result of an impact. However, there are a few other items included that you wouldn’t expect. The Driver Alert system monitors things like the steering and throttle input and warns you to take a break from driving if it senses you are tired, and this too is standard. Hill hold assist and the usual front airbags are all included, too. Other optional kit includes lane keep assist, auto dimming headlights and tyre pressure monitoring, although the latter is a standard fit if you go for the Kombi version. There are four main trims on offer, and even the entry-level Startline model gets a decent amount of kit. There is a 5.0-inch touch-screen as standard across all versions, and that comes equipped with DAB digital radio, Bluetooth and USB connectivity. Electric windows and a locking glovebox are other highlights. It’s notable you have to step up a level to Trendline, or hit the options list, to get a steel bulkhead on the panel van version. Trendline also adds driver’s armrests, cruise control and rear parking sensors, but you have to go up one more to Highline to get air conditioning. At this level you also get a heated windscreen, a leather multifunction steering wheel and automatic cornering headlights. At this point you also get an alarm, and alloy wheels come as standard for the first time. Sportline upgrades the entertainment system so it comes with a bigger screen and offers leather quilted seats with a Sportline logo. Notably it also deletes the bulkhead, hinting at the sort of customer it is aimed at. The wide range of Transporter owners you see on the road is testament to its appeal – it is as likely to be used by a business for carrying tools as it is to be bought by an enthusiast that wants the practicality of the van or Kombi without relinquishing all the creature comforts of a car. It’s not quite a car, but the more consumer-oriented specification of the higher trims means it feels very close sometimes. It is the classiest van of its type, but can still do a job at the same time.